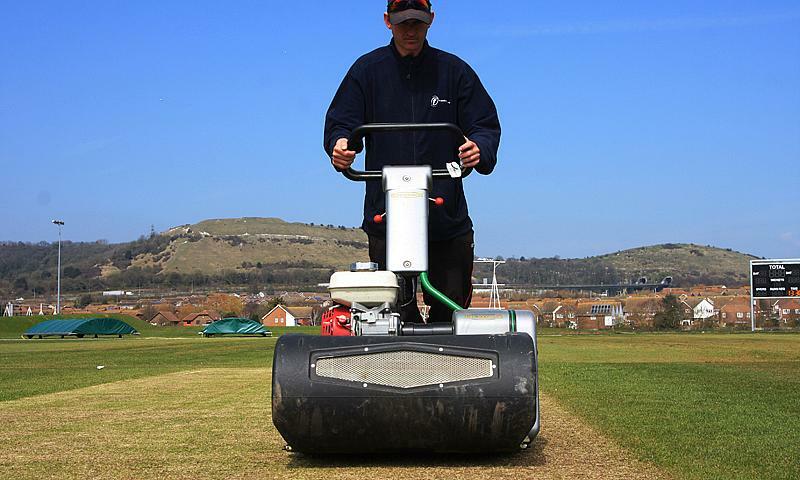 Folkestone Cricket Club has ambitions to become an outground for Kent County Cricket Club and to help them achieve this aim, they have chosen Dennis and SISIS machinery to prepare the outfield, wicket and square. The club, which has been hosting cricket since Victorian times, was a regular venue for Kent matches until 1991 but two years ago, responsibility for upkeep and development was handed over to the Cheriton Road Sportground Trust from the local council. 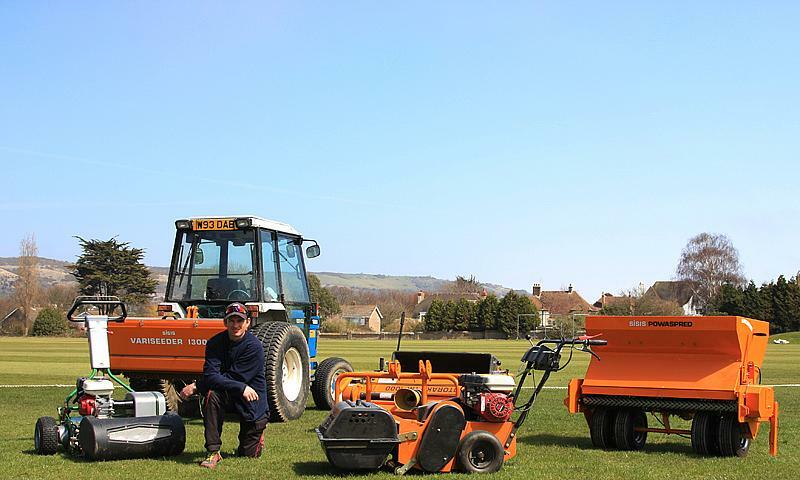 With financial backing from Roger de Haan, it has been a fresh start for the newly-named Three Hills Sports Club, which has seen a huge upgrade including new facilities, a new cricket pavilion, its own groundsman and equipment. 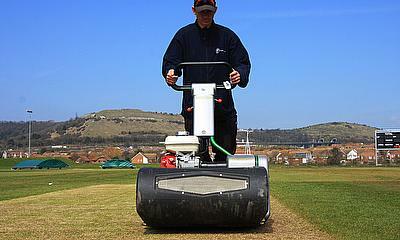 Groundsman Josh Bryen is into his second season at the club and has already been given advice by members of Kent Cricket Board's Groundsman's Association, an indication of how well advanced they already are in their goal to return county cricket to Folkestone. In addition, Kent will be hosting Second XI Twenty20 matches at the ground. He was given a budget for machinery to look after the 25-strip square which was re-laid during the re-development programme and following a visit to a Dennis and SISIS seminar in Essex, and a demonstration in Folkestone, he was convinced that Dennis and SISIS turf maintenance equipment would fulfil his requirements. He purchased the 22-inch Dennis Razor Ultra as his cricket mower as well as three tractor-mounted SISIS machines - the Rotorake TM1000, the Powaspred and Variseeder 1300. 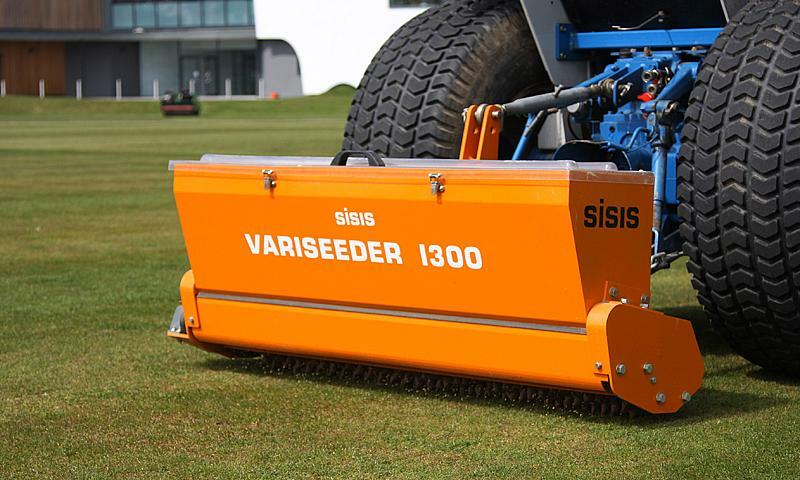 "Buying all my cricket pitch maintenance equipment from a single source made good sense,” Bryen, who combines his groundcare role with captaining the side, said. "One contact point for everything - help, advice, spares, servicing is a major benefit. Dennis and SISIS are more than just cricket-friendly - they really do know about the game and what is needed to get quality pitches. "Now that the re-laid square is bedding down nicely and I’ve been using the new quartet of machines for a season and a bit, pitch quality is really on the move. Everyone that plays here, including the Trust, are really pleased. Being a wicket keeper I get a close-up of how a pitch is performing, and I can honestly say the machines we bought are making a telling difference."